Fifty years ago everyone was making watches. There were hundreds of watchmakers…or at least people putting their names on watches. Many of these watches used the same movements. For example, many Bulova watches have counterparts that are almost identical in the Westfield and Caravelle brands. Later in the 1970s when the Quartz watch was really hurting the watch industry, many manufacturers began using non-Swiss import movements. These could be from Japan (e.g., Seiko or Citizen movements) or from Germany and France. While Swiss watches are the most desirable, you can find a few nice examples of non-Swiss movements if you know what to look for. Below are highlights from a list I published on my website TinkermanWatches.com a while ago. They are meant to help you zero in on decent quality watches outside the standard big players (Rolex, Omega, Patek Philippe, LeCoultre, Bulova, Hamilton, etc). The goal of this list is to highlight a few lesser known quality watch brands that can be found for just a couple of hundred dollars. Often, I see trays of watches from the 1950s that will have a Timex, Caravelle, Helbros, and Hamilton priced the same. Ironic, since Caravelle, Helbros, and Hamilton offer watches with significantly better quality than Timex watches. This is because of brand name awareness. Everyone knows Timex. They have great staying power in the market. When it comes to vintage watches though, the quality of a Timex pales in comparison to many lesser known American / Swiss brands. I think this advertisement from the 60s sums it up. So what are some of the most undervalued watches and why? You can pick them up for under a hundred dollars and get a really nice watch from the 1930s or 40s. Westfields were made by Bulova and oftentimes look similar to the Bulova counterpart (albeit with a few less jewels inside). The fascinating thing about “Westies” is that Bulova used shock protection (see glossary of terms) in Westfields before they incorporated it into the Bulova lineup. That means that many of the1930s Westfields outlast Bulova watches from the same era. Helbros stood for Helvetic Brothers. They were very popular in the day and made great quality watches. The thing I love about the Helbros is the way they kept current on trends. You can find wrist-alarm, triple calendar, and automatic watches for a fraction of the cost of a comparable Movado or Bulova. Caravelle was also a Bulova subsidiary. In the 1960s Caravelle replaced Westfield as Bulova's entry-level offering. As you saw in the ad above, the quality of a Caravelle far surpassed the quality of a Timex for the same price. They also were more trendy than the Bulova line. This leads to some great retro looks from the 70s. Gruen was originally a German company. For a while Gruen and Rolex used the same movements. Gruen is most famous for their curvex and thin line of watches, which were of course curved and very thin! The company name was eventually sold off due to financial mismanagement and anti-German sentiment after the war, but they always made great quality watches. You can find them for real bargains. Benrus is one of the largest makers on this list. They were larger than Bulova in their day, and they made really great watches. Today, you can buy Benrus watches for an affordable price. What is less known is that Belforte was an off-shoot of Benrus. Belforte watches are also of great quality, but sell really cheap because the name is barely known. In 1888 Bucherer opened Lucerne, Switzerland's first watch and jewelry store, and partnered with a little-known watchmaker Hans Wilsdorf that was just starting his watch company called ROLEX. (Of course, today Hans Wilsdorf is known by anyone and everyone involved in the watch community.) 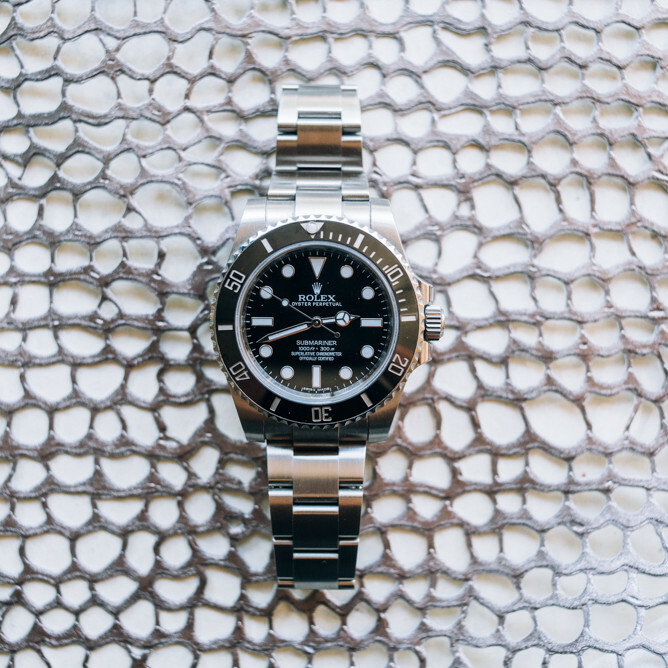 The two companies, Rolex and Rucherer, have been inseparable ever since. Bucherer, also a watchmaker, offered quality watches branded under the Bucherer name. Winton and Nassua watches were some of the names imported by the Didisheim family. The Didisheims went on to create Marvin Watches, a brand that is still in operation today. The history of their company dates back to the 1800s. They were based in New York City. Complications usually mean money. Any windup chronograph is going to be worth more than its "time only" counterpart. Date pointers, moon phase, and self-winding movements all add dollars. Also, early innovations will cost you extra. For instance, center sweep second hands were developed in the 1940/50s. Early sweep second hand watches are usually called doctor or nurse watches since doctors used them to measure patients' pulses. The rarest sweep second hand watches date back to the 1930s. Other innovations to look for in the early 1940s are shock-protection, waterproof cases, self-winding, and date windows (this is common today but before the late 40s everything used date pointers with four hands). For the rest of this list, the second list I added (because of some oversights in the original), and many other watch-related articles, please go to my website: Tinkermanwatches.com. Excellent write up very informative.